Today we combine an update on major events coming up for Donegal with Conor Foley's stable update. Of course we are talking about HYNDFORD (pronounced HIND FORD...long I sound and pronounced like two words...from the song by Irishman Van Morrison). HYNDFORD is headed to the Sundland Derby on Sunday March 25. HYNDFORD will have to run against Justify (among other talented three year olds) and Justify ran a 104 Beyer in his last race....the best three year old Beyer in the country. This weekend HYNDFORD breezed opposite four year old Hedge Fund, winner of his last race and multiple graded stakes placed. Hedge Fund is a full brother to Super Saver. As you will see in the video below, HYNDFORD certainly held his own against the older and more experienced workmate. has come off his win bucking and kicking and gets ready now to step up to GRADE II company in the stakes on Saturday, March 24 (the day before the Sundland). 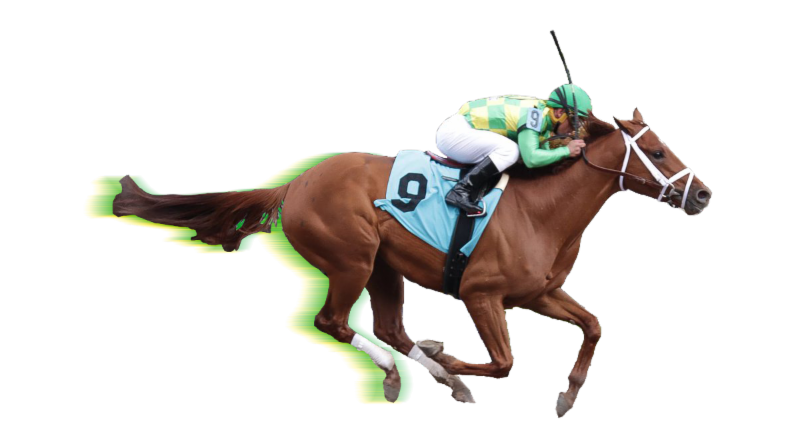 ARKLOW will have enormously talented opposition in the next race including Synchrony who ran a 100 Beyer in his last out Grade III victory. If you have not ordered tickets to these races (one or both) and you want to come let us know in the next two days so we can make sure to get everyone taken care of. IRISH FREEDOM had another spectacular breeze Sunday (see breeze notice below) but we have discovered that breeze times don't come with purse checks. We are giving IRISH one more chance on the West Coast before finding another route forward for him. BALLAGH ROCKS is training very forwardly. See additional comments below. And now the stable update from Conor Foley with notes from me as well. I hope this message finds everyone well. March is going to be very busy with some graded stake engagements and a possible ticket getting punched to the Derby for the stable. Safe travels to everyone going to see their horses and April should be a similar month in terms of excitement as others will be nearly done with their vacations. Ballagh Rocks (Bill Mott) - Ballagh Rocks has finished his vacation and is back to work at Payson Park. Ballagh Rocks is one of the best turf horses in the country having earned about $500,000 in the last 12 months and that is with some tough racing luck. I think he will have a huge 2018 and once he is fully fit a schedule of graded stakes will be on the menu for the rest of the year. Let's just hope the next 45 days go by quickly as he gets ready for his 2018 debut, but where and when is too far off to know at this stage. From Jerry: Bill says the Grade I Maker's Mark Mile at Keeneland could be ROCKS first race back. 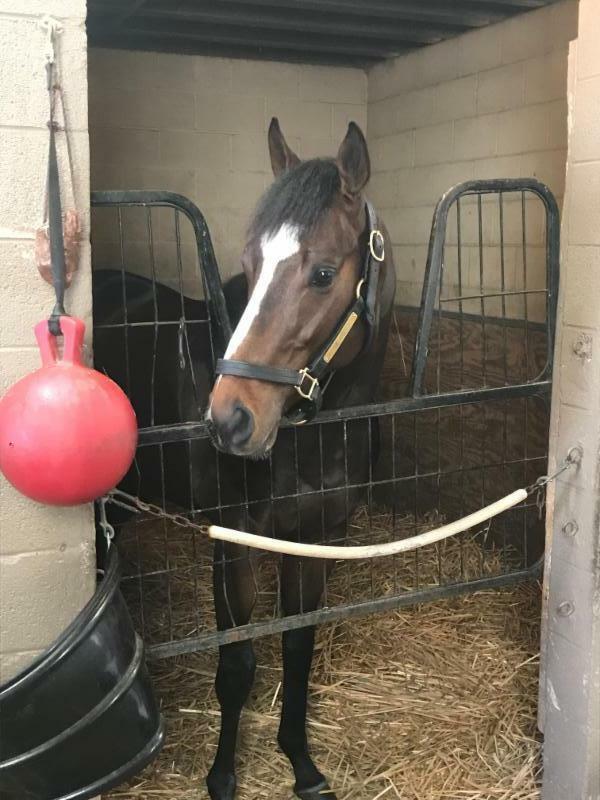 Donegal Moon (Todd Pletcher) - He is getting back in shape at Winstar Farm in Kentucky and has finished his R& R and is now back in light training. If he continues to progress forward he will likely head to the racetrack at some point in April and from there begin breezing to get ready for the rest of the year. Irish Freedom (Baffert) - Irish is doing well out of his latest run the San Pasqual with two very good works since that race. As Jerry stated a couple of weeks ago Irish Freedom might try out the turf course at Santa Anita at some point which is a very good experiment to find out if that is an additional option. Don't get down on Irish, he is very talented and that is undeniable and we just need to find out the best place and surface for him to show it. It's a long year and I think Irish will do us proud multiple times. He is nominated to the G1 $600,000 Big Cap for next weekend and it won't be a deep field and he has beaten several of the possible contenders so there are lots of options at the moment. Blarney (Richard) - He did fare a bit better in his last race as he was able to get up for 2nd place at Delta Downs in a claiming event. Blarney has clearly established that he is not of the talent mark needed to stay in the stable much longer. He will hopefully be claimed out of his next start in Louisiana or we will find him a new home. From Jerry: Blarney has been sold and is off the payroll. Gorse (Blair) - He had the big equipment change since his last start and he has gotten over his gelding in good shape and has begun regular training. He is going to run at Keeneland for his next start going two turns on the dirt and I think he will be tough to beat in that spot. The Blair Team reports that since his gelding and return to the track they can notice a positive difference in his training. Arklow (Cox) - He has come out of his most recent win in good shape. His win was very impressive considering where he was at the half mile pole against what I thought was a very good field for a horse coming off a six month layoff. He should improve again from that effort and if he runs big next time which is going to be on the 24th in the G2 Muniz Memorial Handicap it will show us that he is completely over his setbacks of last year. I think he will love the extra distance of his next start and really nothing but positive signs that he will have a big chance. His race is on Louisiana Derby Day which is a lot of fun so if you can make it down there please go. Ciaran (Morley) - From Jerry: This morning Ciaran was out for a gallop and took a bad step. It resulted in a double condylar fracture as well as a fractured sesamoid. We were left with no option but to have CIARAN put down. CIARAN was a brave horse who showed a lot of heart when he circled the field at Keeneland in breaking his Maiden. And CIARAN and DONEGAL NATION both had big dreams about the Derby trail. Most horses never get to have those dreams. RIP big fella. Tiz McNamara (Cox) - He is in Elloree continuing his rest and will likely need at least another month of rest before returning to light training. Note from Jerry: X-Rays this week showed that the condoler fracture has not resolved. We are determining whether it is worth the cost to perform surgery and insert a screw in the fracture. Vets always claim the prognosis is positive but such has never been the case with our horses. Stay tuned. Taranis (Morley) - Taranis simply cannot stay sound for more than a week of training. Enormous efforts have been made to try and figure out the source of his lameness as he can't really handle more than three days of training. Jerry and Tom have decided it is best find Taranis a new home and career after all of his evaluation. Maybe he would be ok after a year off of training but he has never shown us the talent to justify such a commitment. Off the payroll. Hello Tiz ( Cox) - He was disappointing with where he placed in his career debut but he is bred to run long and this was a sprint race run in very good time for a maiden, so visually it looked discouraging but we should see a big improvement once he gets to run at least a mile. He is also a NY bred and going long in that division for his first few conditions won't be that tough. Seabhac (Pletcher) - He is in light training at the moment as he slowly recovers from his injury/setback. The most important part is to get him back 100% healthy and in about another 30 of light training we will have his injury rechecked. The results of that will determine his physical regime going forward in the short term and we will know much more about how his timeline will progress from that information. Boru - (Blair) - His last two works have been very solid and is entered for this Thursday in a maiden claiming event at the Fair Grounds. He is on the A.E list and I give us a 65% of running as there will likely be one scratch. His last work was very good according to the Blair team and I think we will see a winning effort if he is able to get into the race. Hyndford (Pletcher) - He is doing well and had a solid breeze this past weekend which was his first since his impressive allowance performance at Tampa Bay. He is still slated to run in New Mexico in the Sunland Derby later this month. One thing that is becoming more clear is that there is not a consistent group of top 3 yr. old colts this year and if Hyndford keeps improving just a bit then he is going to be in the top 25 in a month. How many points he has is one thing but his efforts and speed figures suggest that he is not far behind the top of his division. Let's hope the Pletcher team is happy with his next work-out and things go to plan for the next few weeks. Bodhran (Baffert) - He is in California and has been working away for the Baffert team at Los Alamitos. He is close to being ready to run and if he comes out of his latest work in good shape the Baffert Team will start looking for a race for him. Tough to say what talent level any horse is before they run but it will be very good to see him walking towards a starting gate. Carrick - He arrived at Belmont Park in good order and has begun breezing there since his arrival. He actually beat the other two horses he was working with in his first work at Belmont. He will need several more works before running but if all goes well he should be able to debut sometime around the middle to end of April. O' Caroline - she is still in South Carolina with Frank Smith and things are going well for her. Note from Jerry: O'Caroline is named for Keith and Twinker Mason's daughter Caroline who attends school in Kentucky. O'Caroline is due to leave for the race track at the end of the month and we will place her with Jordan Blair in Kentucky. All of the 2 Year olds are doing well and Frank is happy with all of them at the moment. Each week that passes they show a bit more of themselves and before you know it the first platoon will head to a racetrack. Note from Jerry: I spent a day with the two year olds three weeks ago and of course many of us will see them all again next week on March 17 at the Breeze Show. My prediction is that Donegal Nation will fall in love with the fillies early as they are the precocious ones. I wouldn't trade them for any four fillies in the country. We have some mighty fine colts as well and their pedigrees are dotted with names like Curlin, Paynter, Afleet Alex, Giant's Causeway, Distorted Humor, Orb and so on. Sounds like the Yankess lineup in days gone by!